Faith is one of the most important building blocks to have a close relationship with God. We are justified by faith through the Lord Jesus Christ and not by works or the deeds of the law. It is by faith that we know that Christ lives in our hearts. Your faith in the Lord Jesus Christ is accounted for righteousness. It is by faith that we receive grace and favor from God and not by the works of the law. It is by faith through the Lord Jesus Christ that we inherit the blessings of Abraham. Therefore, without faith it is impossible to please God. Because when you come before God, you must first believe that He is (He exists), and He rewards those who diligently seek Him (Hebrews 11:6). We are all sons of God through our faith in the Lord Jesus Christ. We are all one in Him regardless of race or nationality. Our belief in Jesus Christ make us us just and holy. Thus, the just shall by faith. Consequently, you may not know where your next meal is coming from or you may be living from one pay check to the next, don’t despair because God will provide for you one day at a time. How can you increase your faith? The more you read, listen and obey the Word of God the greater will be your faith. 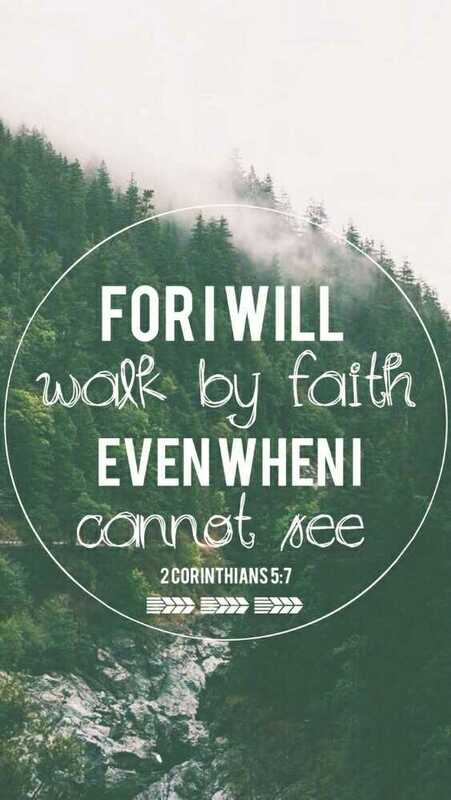 So, continue to walk by faith believing that you will receive or succeed even when no physical evidence is present. Keep believing until it becomes a reality. Beverley, good word. Without faith it is impossible to please Him. It’s like God gives us this precious gift of faith and then says: “let’s see what you do with this precious and powerful gift. It’s powerful. Where will you place it? In whom or in what will you place it?” Thanks for this AMS all of your posts. Lots of thought goes into them I can tell. Certain parts are actually quite relevant to me and my family. Very important in every Christian’s life..
Well said. Our faith increase with reading, listening and obedience to the Word. Yes. The Bible says that faith comes by hearing the Word. Thank you for sharing.